Our RC-Series Benders are the Original Low Tunnel Hoop Bender design invented by me and "Now copied and sold by several companies." By the way I answer my phone 7 days a week, always have, 903-497-1158. Don't think they do that? In the video below our own Carol Coleman demonstrates how to bend 1/2" emt tubing into 4 ft. wide Low Tunnel Hoops and assemble them into newest version of our Modular/Movable Low Tunnel in 10 ft long sections. 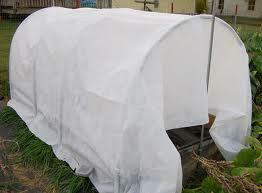 Sections can then be placed end to end making your Low Tunnels as long as needed. has the added ability to bend 1 3/8" fence tubing also. 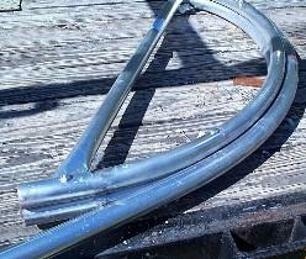 Important Note: Finished Hoop widths can vary on any metal tubing used, Regardless of Gage or Diameter! This varying is caused by the hardness of alloy (which is an unknown factor on all tubing) used in manufacturing the tubing. Our hoop benders are fixed radius (not adjustable) they are preset to produce the specified hoop width using metal tubing having an average hardness alloy. We are not responsible for varying alloy's which can produce hoops smaller or larger than the average alloy's used today. You are encouraged to read and review all instructions before making your choice of hoop bender to purchase. So What's The Difference In Bender Models & Sizes? Click Here For The Answer.